June was not a month of prolific reading, or purchasing for that matter. “Father, Toby means ‘eloped,'” I said. Well, who could resist this book! I knew I had to read it. So I bought it. But haven’t read it yet. Hopefully it will be on my Books Read list soon. Gourmet Rhapsody is “the other” (hoping for more) Muriel Barbery book, which actually takes place before The Elegance of the Hedgehog. I am only a couple of chapters in, but already have a passage marked as well written/amusing. When I was reading Funny Girl, I had to check that this was “my” Nick Hornby, whose book Ten Years in the Tub I love. Yes, the same one! But I did not love Funny Girl. I did read it to the end, but that was probably because I knew I like the author. 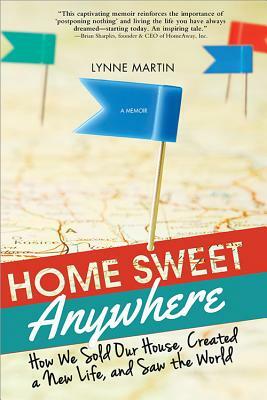 I really enjoyed Home Sweet Anywhere about an older couple, who instead of retiring in one place, sell their home and decide to live around the world, in different places months at a time. As someone who still has to work for a living, it was reading about a fantasy for me, but was not for the author and her husband. It opened my eyes to what could become a reality, if one chooses. It is well-written and informative about realistic planning, costs, as well as their relationship, which is important because they are completely dependent on each other without other family and friends around. For some reason, I have been reading a lot of Holocaust-related books lately. Throw in The Paris Architect for yet another one. This one, like The Nightingale, was from the perspective of non-Jews. I gave it a not so great review online because I feel that the ending is very weak. However, I was intrigued to read it through to the very end, so I probably need to correct the review that it held my attention to the end. As to a favorite book this month…if forced to choose it would be Home Sweet Anywhere. I did enjoy reading it, though skipped through some chapters. On to July…better books to tell you about then!! !